It’s not weight gain! It’s a shapeshifter! Home » Uncategorized » It’s not weight gain! It’s a shapeshifter! 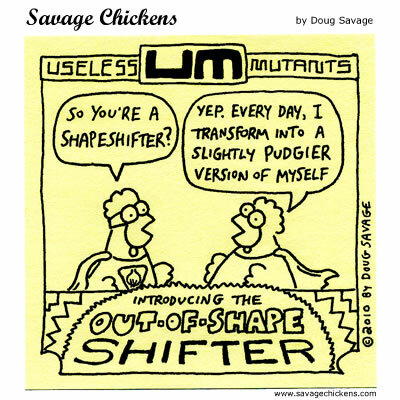 In literature, shapeshifting takes place when an individual finds her figure involuntarily changed by someone or something else, menopause for example! For women in midlife in particular, weight gain often becomes a primary concern. But it’s not just any weight gain — it’s the spare tire in the midsection, the sudden belly that seems to appear out of nowhere, that causes the most distress. The findings may interest you. For example, weight gain itself does not appear to be affected by hormonal changes during menopause. “It’s a myth that menopause causes women to gain weight” says the leading review author Professor Susan Davis from Monash University. Rather, she says that “it’s really just a consequence of environmental factors and aging,” (i.e. absolute weight gain as we age is influenced by non-hormonal factors, such as low activity levels, previous pregnancies, family history of obesity and even the use of certain antidepressants or having undergone chemotherapy). However, hormones — namely the fall in estrogen — cause the fat to deposit itself in the belly (oh, joy!). In fact, data suggest that during perimenopause, there is a rapid increase in fat mass and redistribution of this fat to the abdominal area, leading to an increase in total body fat. Whether or not you call it weight gain or shapshifting, the result of this excess weight goes well beyond physical appearance and self esteem. We know that excess weight, especially belly fat, can lead to metabolic syndrome and other serious issues. And it’s really difficult to get rid of once it decides to rest in the abdominal area. Still, if you don’t want to go the HRT route (which may help prevent the increase in abdominal fat), there’s really only one solution: diet and exercise. And more diet and exercise. Frustrating, isn’t it? I’d like a do-over on the shapeshifting thing. Right now? The Beast is looking pretty darn attractive! If we observe the above picture it is very funny and it is useful to think in innovative way…..